In 2013, I achieved my goal made in 2011, to read all of the Nero Wolfe mysteries in the order they were written. I did not expect it to take this long although I did read other books in between the Wolfe mysteries so as to have a little variety in my reading entertainment. Rex Stout did an excellent job with the series. I am glad I took the time to enjoy them all. Early in the year I discovered the book, the Eaters of the Dead by Michael Crichton. There is an interesting story behind his inspiration to write the book, which I wrote about in a previous article titled The Eaters of the Dead / The 13th Warrior. It has been a year for re-reading some old favorites that were finally released as an e-book. I was overjoyed to find the Fletch series by Gregory McDonald on e-book. 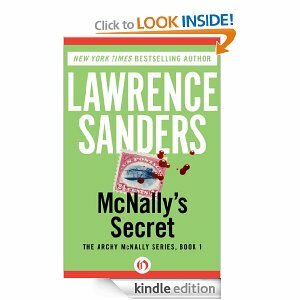 I was even more excited to get the Timothy Cone and Archie McNally stories by Lawrence Sanders. I also read A Memory of Light, which is the final book in the Wheel of Time series. Brandon Sanderson did a fantastic job completing the epic Week of Time series started by Robert Jordan and tragically cut short when Jordan died of cancer. 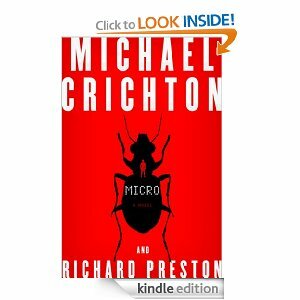 I enjoyed a couple more Michael Crichton stories with the books Prey and Micro. Micro is a very intense story about some MIT grad students that get shrunk down to a half inch tall and have to survive in an Hawaiian jungle. This story would make a great movie in the style of Jurassic Park. I decided to try some books written by a couple of Clive Cussler’s co-authors. I decided to start with Jack Du Brul, who worked with Cussler on several of the Oregon Files series books. Vulcan’s Forge introduces us to Phillip Mercer, who is a mining engineer. Since A Memory of Light was so good I decided to try a few other books by Brandon Sanderson. 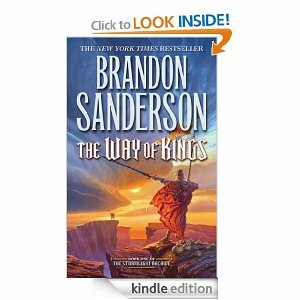 His book, The Way of Kings, was on sale for $2.99. I bought it on an impulse but did not get around to reading it for months. I was inspired to start the book when I discovered a student in one my classes was reading the book. This is the first book in his Stormlight series. It was fantastic! I have already pre-ordered the next book in the series, due to be released in March of 2014. This led me to try his Mistborn series, which I also give a high rating.